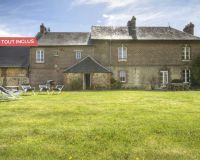 Warm and spacious cottage at the farm, 30min away from Lyons-la-Forêt where you will discover typical Norman place and monuments. 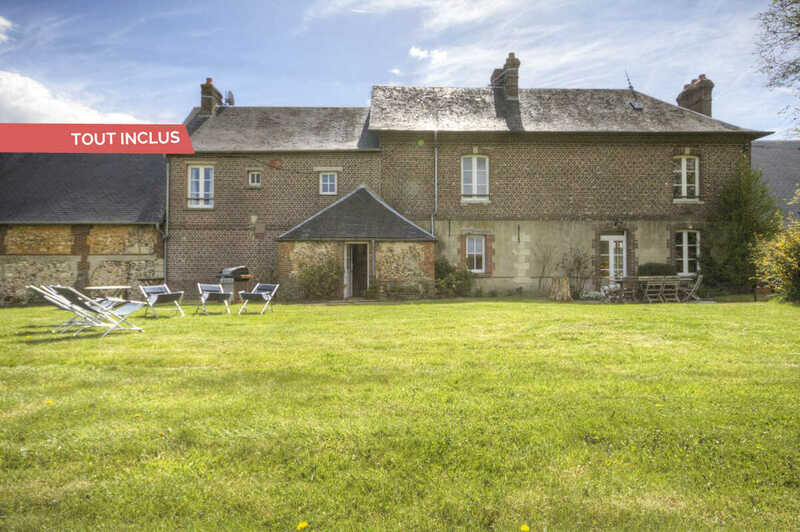 In the heart of the Epte Valley, this gite offers you the warmth and the charm of an authentic family house in the countryside. Its privileged environment in a farm, by a river and forest offers nice strolls. Very spacious, you'll appreciate its comfort, its smart decoration and its equipment. A 150m² garden. Swing, slide. Ground floor: hall, living room with sitting room and fireplace, kitchen, scullery, toilet. 1st floor: 4 bedrooms (2 double beds - one of 1.60x2m and 6 single beds), bathroom, shower room, toilet. 3 bikes for adults at your disposal. Wood is offered.